Our team is leading the project oversight and implementation of a regenerative agricultural commons that spans across the innovative Finca Luna Nueva eco-lodge and three neighboring properties. The project will grow food for the lodge restaurant and the adjacent Brave Earth medicine retreat center, as well as developing biodynamic certified crops for a niche global spice market. 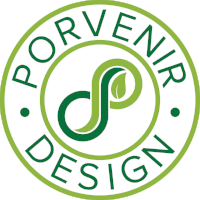 Porvenir is acting as the face of the project; managing the business, employees, while crafting the day-to-day work in order to achieve a long term, financially realistic farm vision. Porvenir is partnering with Forage Designs Co. and Saga Arquitectos to create a master plan for a 57 hectare coffee plantation in Matagalpa, Nicaragua that is being transformed into a technical bording school for Nicaraguan girls and luxury eco-lodge. Our team is responsible for creating a management plan for the transition to organic coffee, design the food production systems, and making suggestions on edible landscaping, water management, pond construction, wildlife corridors, walking trails, bamboo and timber plantation and much more. Porvenir Design spent a week at Finca El Encanto, a 33 hectare coffee farm that exports high end coffee to Germany. We partnered with Mondo de Caffee, a German coffee importing company, to create a concept plan for the farm. The goal of the farm is to be a demonstration site for better soil, water, and resource management for area farmers. The project is part of a grant from the German government. A blend of agricultural enterprises, conservation, housing lots, and permaculture education center, on 120 hectares in Puriscal, Costa Rica. We partnered with Rachel Jackson of the Rancho Mastatal Design/Build Collective to create a concept master plan of the property and complete an economic analysis of the agricultural potential of the property. Porvenir Design is creating a vision and development plan with the owner of a 30 ha property on Ometepe Island, Nicaragua that will include an eco-lodge, housing lots, and small businesses. Our team is helping potential business owners, such as a yoga studio, brewery, and hostel, understand the property’s potential and brainstorm how their business’ fit within the larger site vision. Scott Gallant, a Porvenir Design founder, is responsible for designing, implementing, and maintaining the agroforestry systems on this 125 ha education center. He has installed over 10,000 trees, works with close to 150 different food, medicine, and forestry species, and has taught hundreds of students in hands-on workshops that have built the site. Much of the knowledge base for Porvenir’s design work stems from experience developed at Rancho Mastatal.